As an older dragon, Nyve’s been waiting years for his fated mate. He just didn’t think he’d be so… young. Austin is the breath of fresh air the alpha dragon needs, but Nyve can’t help but worry about the age gap. Austin feels stifled by his overprotective aunt, who took him in after his mother died mysteriously. As a half dragon, half wolf shifter, he’s never felt like he’s fit into either world. But he misses his mom—and meets his fated mate when getting a tattoo to remember her. And it seems like Austin’s distant father might be involved. 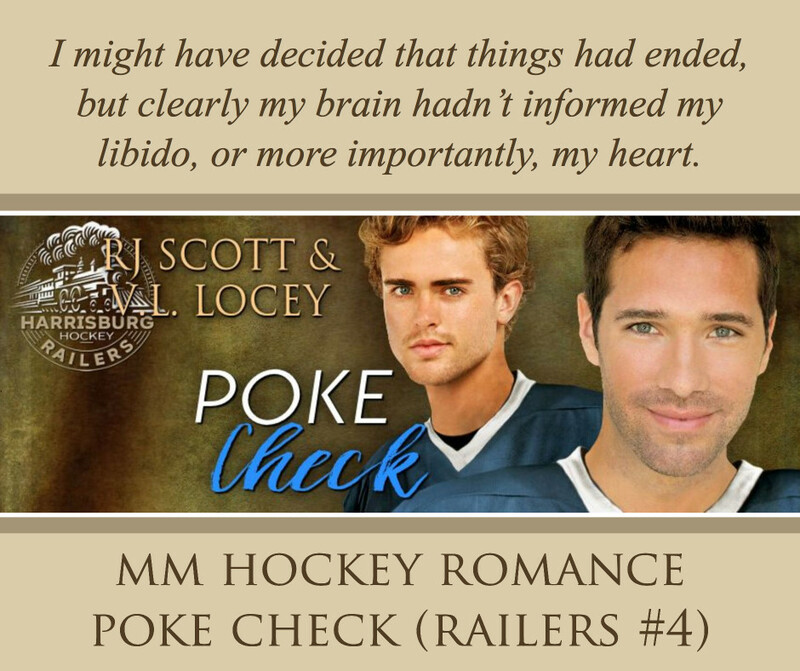 It’s up to the dragons to get to the bottom of this—before someone they love gets hurt. And in the midst of it all, Nyve struggles to give his young mate the space he needs, while controlling his fear that he’ll lose the one thing he’s been waiting his whole life for. Austin has lived a sheltered life under his aunt’s watchful eye. 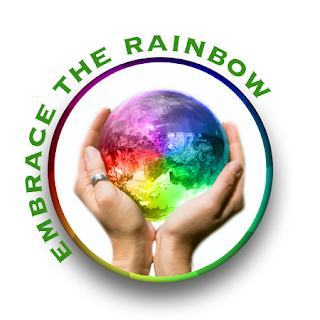 When he meets Nyve their time together finally gives him the courage to take steps to make his life his own. Nyve is willing to wait for Austin but has trouble with Austin’s yo-yoing actions, they are happy together in the end but no nice conclusion for their relationship. The book left the mystery form the first book still open ended so presumably once we get to the last guy in the shop we may find out everything. Much more was found out about the muggings and the group they are connected to and it connects back to Austin’s father. I was confused as his aunt’s reactions but hope that will come out in a later book. If I had known this was a serial type storyline I’m not sure I would have gotten started but I’ll probably continue as I want to know what will happen in the end. The cover art is nice and follows the pattern for the series. This entry was posted in Book Reviews, Books, eBooks, Fantasy, LGBTQ Book Reviews, M/M Book Reviews, M/M Fiction, M/M Paranormal Fiction, M/M Romance, M/M Supernatural Fiction, Uncategorized and tagged A Treasured Ink Book by Kellan Larkin and Kaz Crowley, Alpha Dragon: Nyve by Kellan Larkin and Kaz Crowley, An Alisa Recommended Story and Series, An Alisa Review: Alpha Dragon: Nyve by Kellan Larkin and Kaz Crowley, authors Kellan Larkin and Kaz Crowley. I’ll be honest: If I hadn’t already agreed to review “Wolf and the Holly”, I most likely would not have read it after “Blackbird in the Reeds”. Book one wasn’t bad at all, it just wasn’t for me, really. But now I’m glad I had to read this book because I enjoyed it far more than the first one. First of all, I don’t think this book works as a stand-alone. “Wolf and the Holly” has new protagonists but so much happened in book one that’s important in book two as well, I’m fairly sure you’ll have trouble following the plot without knowing what happened in “Blackbird in the Reeds”. I liked Jesse far more than Devon. Devon was just way too nice for me. He’s just too good to be true. It makes sense for the story, but that’s just not the kind of protagonist I like. Jesse is far more jaded and far from perfect. There was great character development over the course of the book and I found myself liking him even more. The world building was great. There was only a short introduction in book one, but here we really get to know the citizens of Rowan Harbor and their supernatural abilities. I love the diversity in this town. So many different creatures living peacefully with each other. It’s a really cool idea and has so much potential. The romance was barely there. Everything else just took precedence and we really only get to see the beginnings of the love story here. I actually quite liked that. I really don’t need all that much romance in my books, tbh. There was a bit of insta-love yet again, but I suppose that’s just gonna be a thing in this town. We learn next to nothing about Sean, but that was fine for me. They don’t really have a relationship yet, they’re just beginning to get to know each other. The love story definitely doesn’t get resolved and I’m sure there’s more trouble waiting for the whole town. 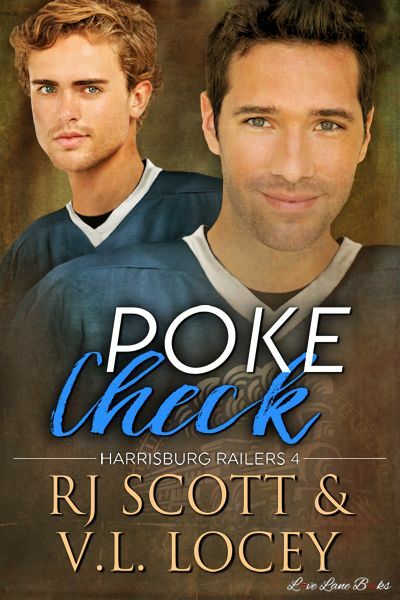 Jesse and Sean will get their own story in book five again and I’m sure they’ll show up in the books in between as well. As the author explained, this is going to be a trilogy of trilogies, so there’ll be nine books all in all. Every protagonist will get their own book. 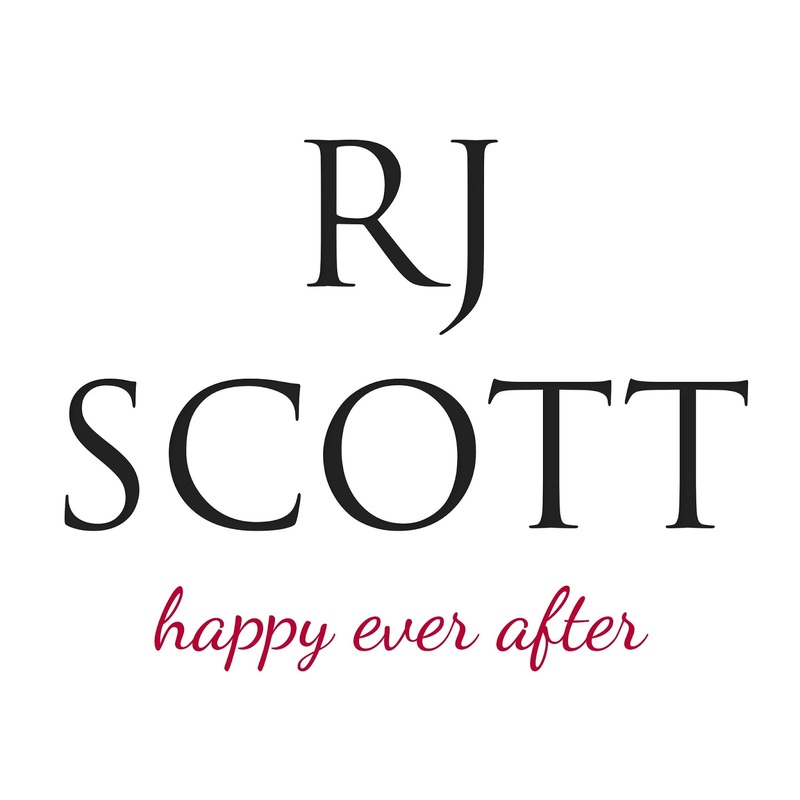 So while the first two books had more of a HFN ending, the HEA will come eventually. Long story short, I liked “Wolf and the Holly” better than “Blackbird in the Reeds”. There was less romance and more world building and plot. While I probably wouldn’t have read the rest of the series after book one, I now find myself very interested in what’s going to happen next. I’m not sure if I’ll manage to read all nine books, as I’m very bad at finishing series, but I do definitely want to read book three at the very least. I’m just in love with Rowan Harbor and its citizens. Cover Design: Melanie Harlow @ Clause & Effect: The cover is absolutely gorgeous. That giant black wolf is beautiful and the night sky is stunning. I love it. 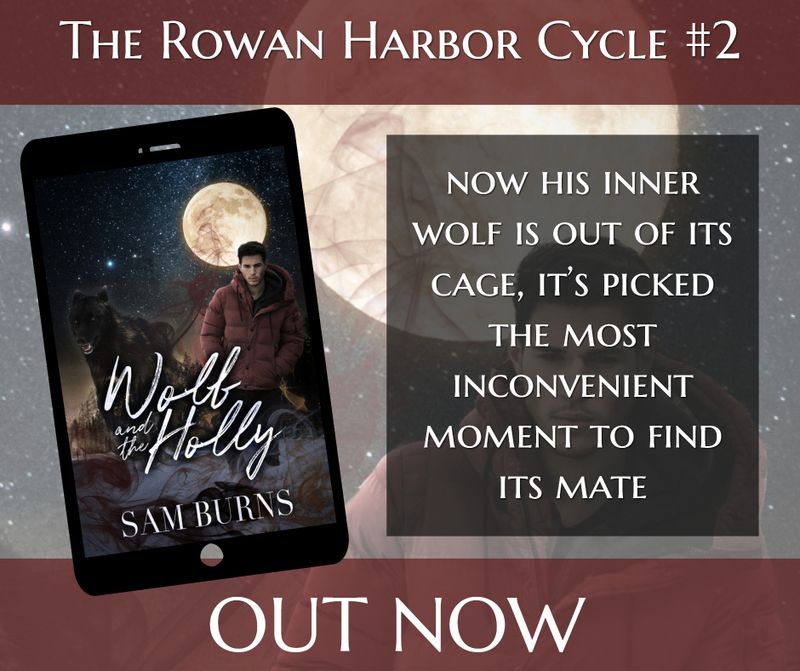 This entry was posted in Books, eBooks, Fantasy, LGBTQ Book Reviews, M/M Book Reviews, M/M Fiction, M/M Romance, Uncategorized and tagged A Free Dreamer Review:Wolf & The Holly (The Rowan Harbor Cycle #2) by Sam Burns, author Sam Burns, The Rowan Harbor Cycle Series by Sam Burns, Wolf & The Holly (The Rowan Harbor Cycle #2) by Sam Burns. I love it when there’s several different fantasy creatures in one book and I’ve always had a thing for fairies. So when I read the blurb of “Blackbird in the Reeds”, I knew I had to have this book. I’ve read a ton of fantasy books, with varying degrees of romance, but I’ve never read a book with a romance between a fairy and a werewolf. So Sam Burns definitely came up with something very unusual, if not unique. I’m always thrilled to discover new ideas in the genre, so I’m extremely pleased to have found this book, even if it didn’t quite live up to my (admittedly pretty high) expectations. Devon is a modern day nomad, never staying in one place for very long. The only place that’s ever felt like home is Rowan Harbour, the small town where his grandmother lives. It was really interesting to discover the secrets of the town along with Devon, who knows nothing about its supernatural residents. This way, the secrets could unravel without info dump. Though I did feel like Devon took it all a little too easily. There was hardly any doubt or fear, ever. He just accepted everything without ever really questioning it. The romance fell a little flat. Devon doesn’t particularly like Wade when they first meet. I never got how this dislike turned into love, the author just lost me somewhere in between. Devon went from “I don’t like Deputy Downer” to “I love Wade” in the span of a few days, without the two of them really getting to know each other. I’ve never been a fan of enemies to lovers, though, so I guess part of my disappointment is due to that. It just smacked of insta-love to me, another thing I can’t stand. The story is told from Devon’s pov. While we get to know him fairly well, we don’t get much of an insight into Wade’s personality. I get that he’s a bit of a lone wolf and doesn’t talk much, but I’d still have liked to know more about him. There are many minor characters, we basically meet a whole town’s worth of them. I especially liked Devon’s grandmother and Oak. The world building was sadly lacking. Part of it is due to Devon only just discovering his supernatural heritage, but I would have loved to find out more. But since this is only part one in the series, there’s still hope for more world building in future books. All in all, “Blackbird in the Reeds” was a bit too fluffy for me. There wasn’t all that much tension and everything was resolved fairly easily. I have no patience for happy-fluffy stories. It wasn’t very memorable and left me feeling a little “meh”. But that’s just me. If you’re in the mood for a sweet romance with a dash of fantasy, then I’m pretty sure you’ll like this book. Cover Design: Melanie Harlow @ Clause & Effect: I quite like the cover. It really fits the story and is definitely nice to look at. 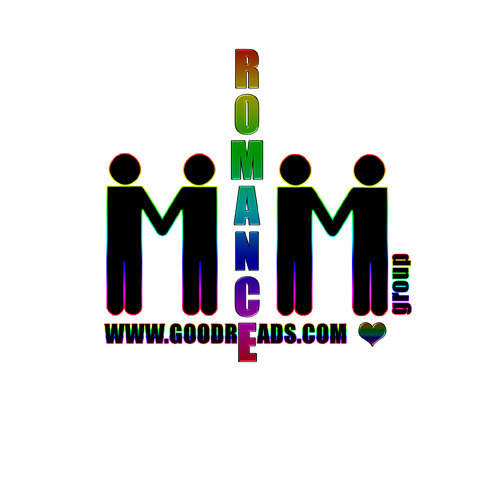 This entry was posted in Book Reviews, Books, eBooks, Fantasy, LGBTQ Book Reviews, M/M Book Reviews, M/M Fiction, M/M Paranormal Fiction, M/M Romance, M/M Supernatural Fiction, Shifters, Weres and tagged A Free Dreamer Recommended story and series, A Free Dreamer Review: Blackbird in the Reeds (The Rowan Harbor Cycle #1) by Sam Burns, author Sam Burns, Blackbird in the Reeds (The Rowan Harbor Cycle #1) by Sam Burns, The Rowan Harbor Cycle Series by Sam Burns. 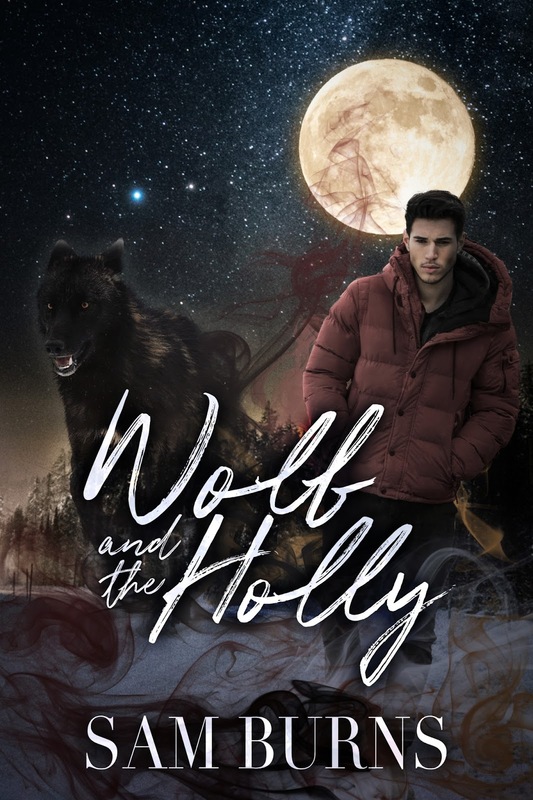 This entry was posted in Book Giveaways, Book Reviews, Book Tours and Contests, Books, eBooks, LGBTQ Book Reviews, M/M Book Reviews, M/M Fiction, M/M Paranormal Fiction, M/M Romance, M/M Supernatural Fiction, Uncategorized and tagged @SamBurnsWrites #newbookrelease #WolfandtheHolly #giveaway, author Sam Burns, Signal Boost Promotions, The Rowan Harbor Cycle Series by Sam Burns, Wolf & The Holly (The Rowan Harbor Cycle #2) by Sam Burns.